View from Mt Ventoux looking towards the Alps. Panorama view from top of Mt Ventoux, looking towards the Alps. Panorama view looking towards the Alps from Mt Ventoux. 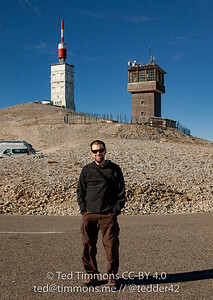 Ted at the summit, Mt Ventoux. 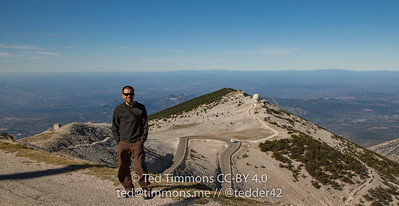 Ted at the top of Mt Ventoux. 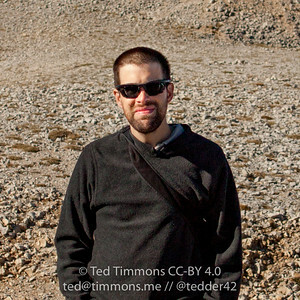 Ted at Mt Ventoux summit. Ted at summit of Mt Ventoux with view of countryside. Panorama view from top of Mt Ventoux. 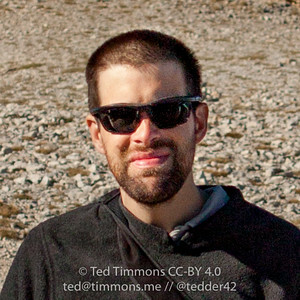 Curvy road in background! 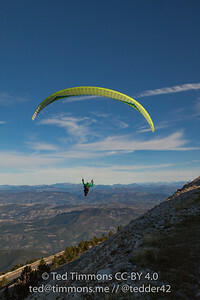 Paraglider takes advantage of the wind at the top of Mt Ventoux. 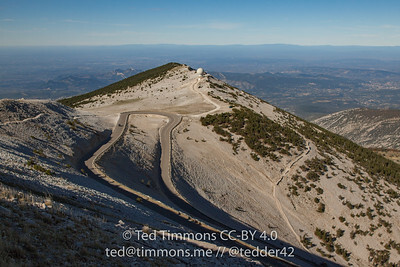 View from Mt Ventoux summit, looking over road that leads to Malaucene. 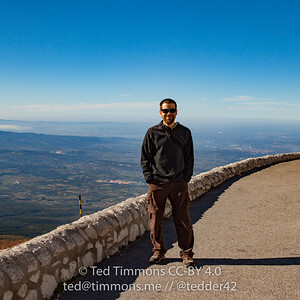 Ted at Mt Ventoux summit, view includes road leading to Malaucene. Panoramic view from Mt Ventoux, looking towards Malaucene. 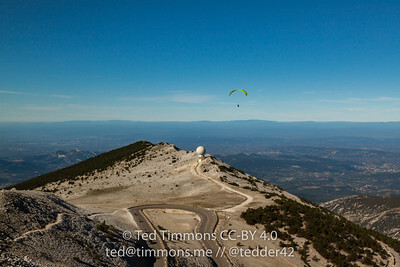 Paraglider soaring over Mt Ventoux. 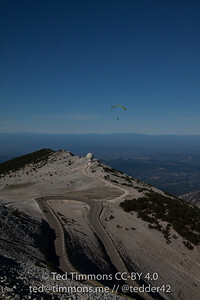 At summit of Mt Ventoux, paragliders took off from the top of the mountain. 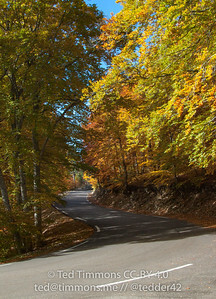 Golden leaves on the trees lining the road between Sault and Mt Ventoux. 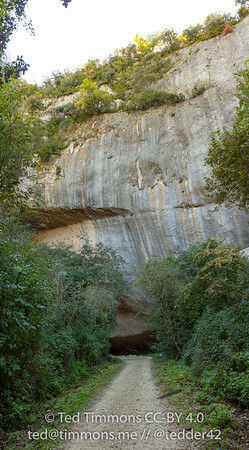 Natural cave ('baume') made from cliff overhang. 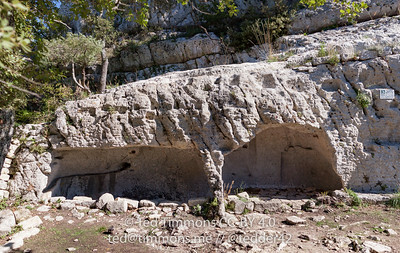 Used for shelter since prehistoric times. Path up the cliff to the fort. 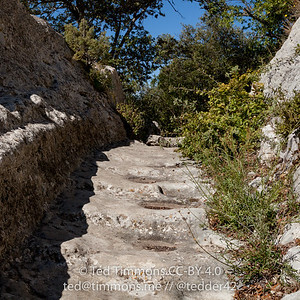 Carved steps cut out of the limestone cliffs with lots of wear. 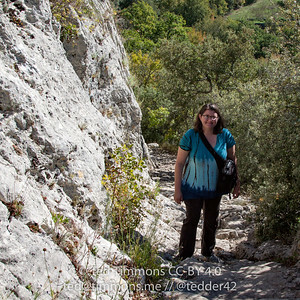 Faye ascending the cliff to Fort Buoux on the rough stone path along side of the cliff. Small rooms cut into the limestone outside the walled fort. 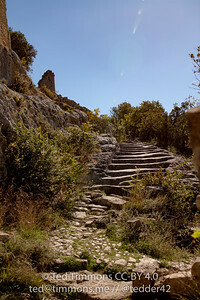 More steps up the cliff to the walls of Fort Buoux. 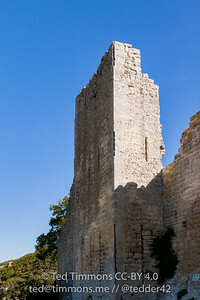 One of the corner towers, part of the wall surrounding the village area. The fort was destroyed in wars during the 1500s & 1600s. 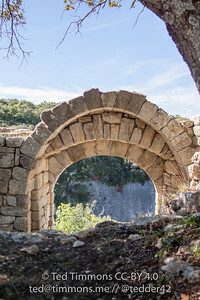 Stone archway entrance through the walls surrounding the village at Fort Buoux. 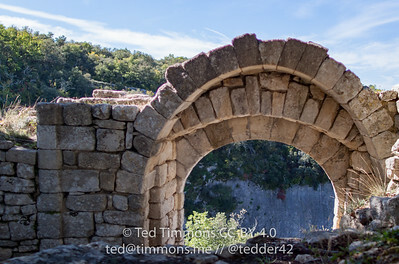 Entrance through walls formed with stone archway. Fort Buoux. 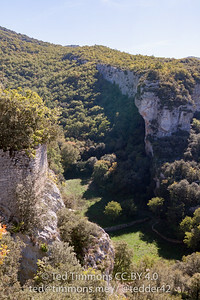 View from the clifftop site of Fort Buoux, looking across canyon to other limestone cliffs of surrounding area. 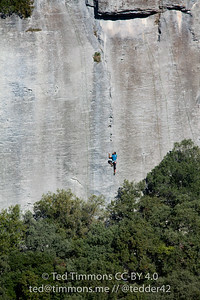 Rock climbers ascend cliff as seen from top of Fort Buoux. Looking along top of the cliff at Fort Buoux, ruins of the stone wall surrounding the village are visible. 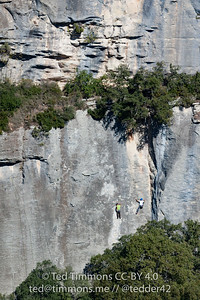 Overlooking a canyon from top of the cliff at Fort Buoux. This is where the trail up the cliff started. 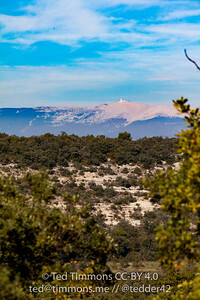 Mt Ventoux visible from the clifftop at Fort Buoux. 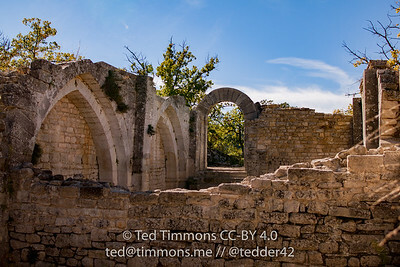 Ruins of the church at Fort Buoux. Gothic arch style insets remain, as well as the arched entrance. Village area of Fort Buoux with fortress seen at the top of the hill. 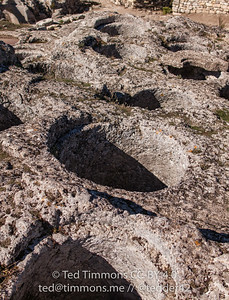 Carved stone cisterns near the fortress of Fort Buoux. Used to store grain and water, and there were also carved stone covers for each. 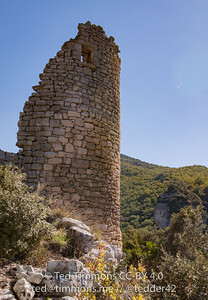 Tower of the fortress/castle at Fort Buoux. Note the wall slits for archers. 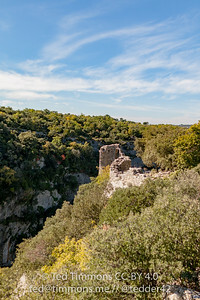 Fort Buoux, tower of the fortress. 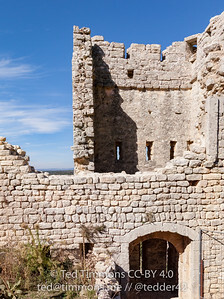 Archer slits in the tower walls are visible. 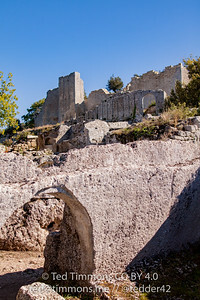 Walls of the fortress at Fort Buoux as seen from the inside. 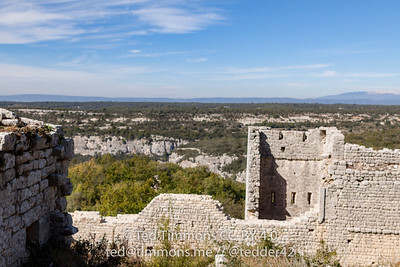 Inside the fortress at Fort Buoux, overlooking the surrounding canyons and other limestone cliffs. 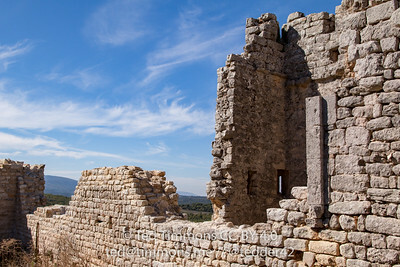 Walls of the fortress at Fort Buoux. 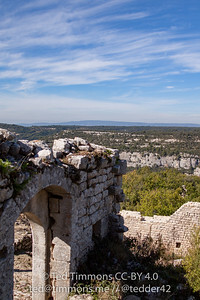 More limestone cliffs in the distance, similar to the one this fort was built on.